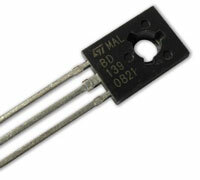 Transistors and ICs are coded so as to identify its semiconductor, use, type, make etc. By using the codes, it is easy to select the appropriate component for the circuit. See the meaning of these codes.